Eyewitness identification is an important part of criminal investigations, especially in circumstances where physical evidence is lacking. It is therefore of the utmost importance that eyewitness memory be accurate. Although there is a wide range of research examining the impact of various factors on eyewitness memory and identification, the influence of an auditory environment on eyewitness identification and memory is less well-researched. To learn more about the impact of the auditory environment on eyewitness recall and identification, John E. Marsh and colleagues examined the impact of cell-phone conversations on long-term crime-related memories. The researchers had university students watch a video of a crime in which a man unsuccessfully attempted to steal money from a cash register before escaping with several packs of cigarettes. An audio conversation (a conversational news piece about the nation’s favorite children’s book), which participants were told to ignore, was embedded in each video. Participants either heard the full dialogue, a cell-phone conversation in which only one conversation partner could be heard, a spectrally rotated cell-phone conversation in which one conversation speaker could be heard but could not be understood, or no sound. Between 24 and 28 hours later, participants were asked to describe the perpetrator depicted in the video and create a composite image of that person. An independent group of raters rated the likeness of each participant-created composite image to the criminal. Last, the participants completed a sequential lineup in which they ranked how certain they were of the match between nine images of suspects and the actual perpetrator. Participants who heard the cell-phone conversation recalled fewer correct features of the perpetrator, created composite images that were poorer resemblances of the criminal, and reported reduced confidence during the sequential lineup than did participants in the other three conditions. 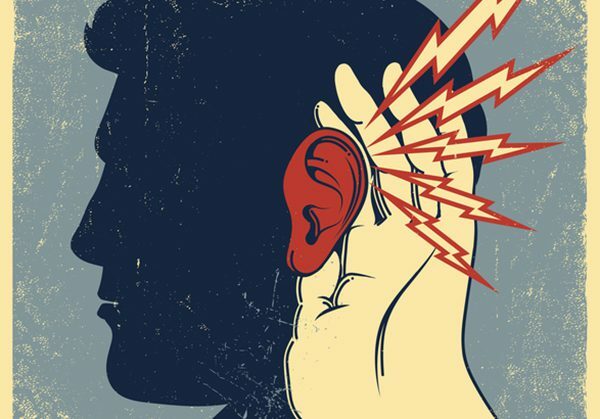 The authors suggest that overhearing half a conversation hampers encoding of memories because people’s attention is involuntarily directed toward the partial conversation. People seem to have a “need to listen,” in which they are driven to try to predict the content of the unheard part of the conversation. These findings demonstrate the importance of considering the auditory environment when assessing the memory and identification accuracy of eyewitnesses to a crime, and have potential implications for law-enforcement procedures.